Check out Tobi's Deep In Winter Sweater Eyelet lace knit sweater with ribbed trim and vertical cable knits. Wear on a cool spring day for just the right amount of warmth. 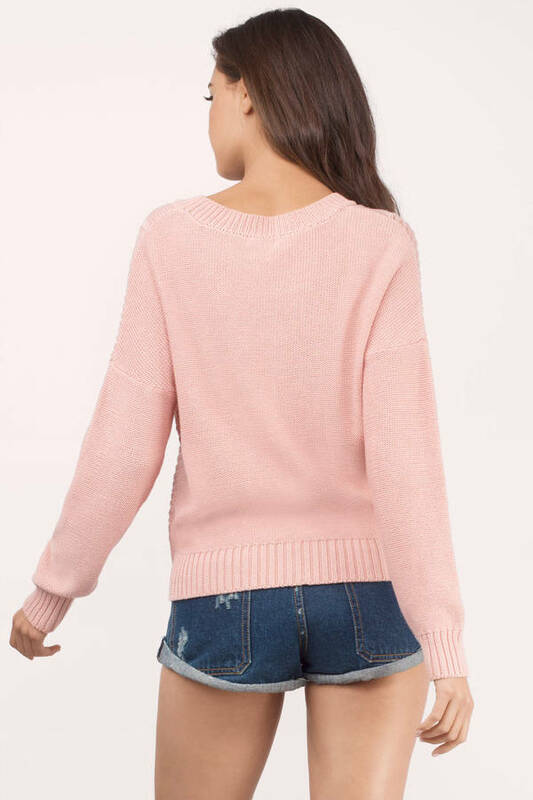 Eyelet lace knit sweater with ribbed trim and vertical cable knits. Wear on a cool spring day for just the right amount of warmth. Model's profile: height 5' 9", bust 32.5", waist 24"
Ivory & Navy model is wearing a size Small. Model's profile: height 5' 6", bust 32", waist 23"